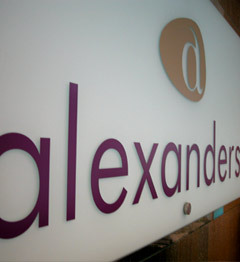 At Alexanders, we have a qualified and professional team of business experts. Within the various divisions, business specialists offer advice in their area of expertise, to offer our clients the holistic and extensive business advice they require. Successful in partnering businesses with turnovers of up to $80 million, including systems implementation & business coaching. Highly experienced, licensed professional in Purchaser Representation, Property Consulting, Leasing and Asset Management. One of only five lawyers accredited as a Tax Law Specialist by the Law Society of NSW. CA and CPA with extensive experience with multinational firms. Professionals with extensive experience in taxation and business consulting. Accredited by Microsoft as a small business specialist with many years experience in creating technology solutions for small businesses. Experienced in recruitment and auditing the HR systems and processes of small to medium businesses.